Hi everyone and especially mjshroomer. I am planing to go to Koh Phangan coming Tuesday and I am wondering what places should I go to on the island to hand-pick the mushrooms myself. Since I know that mj has been there and has experience maybe you can point me in the right direction or the right field? Get a local to help you. Picking and eating wild mushrooms, in a foreign country, that's just not wise. Even with help from mjshroomer- even if he gives you GPS coordinates of the best places- it's still a good way to enjoy a terrible death. well it's not like im gona eat them off the field rite there.. im gona make damn sure before i eat anything.. getting local help is good though. yeah im a foreigner but have been living in thailand for 11 years now. 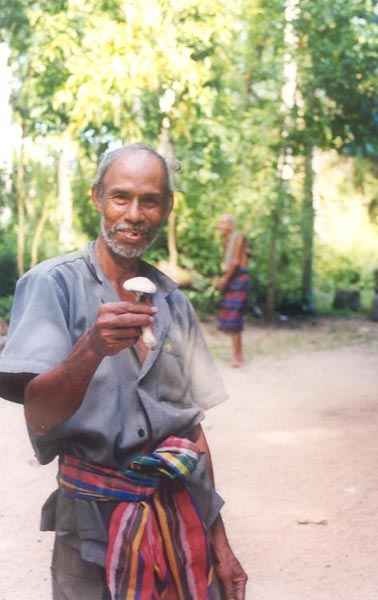 i've heard somewhere someone saying something about locals helping find shrooms on koh phangan, did anyone have such experience? Although I don't know about the fields where you are headed, I just wanted to say good luck on your hunting. 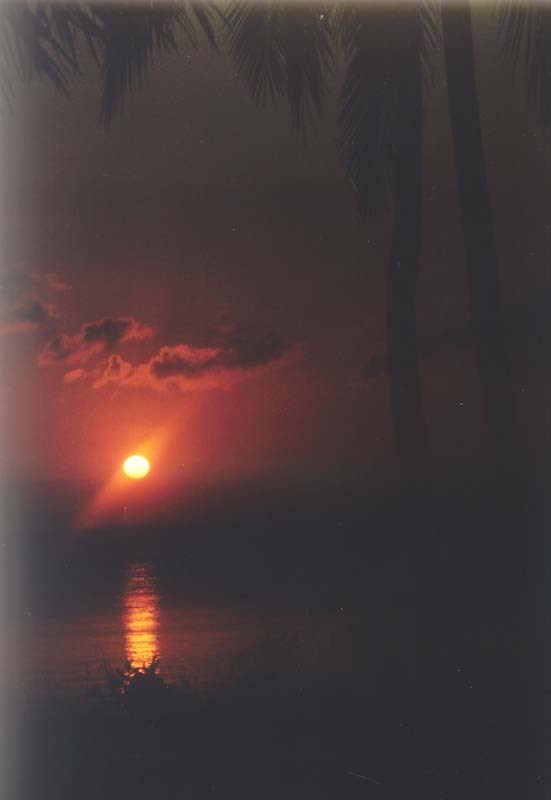 I would imagine that would be one nice trip being on a beautiful island and all. I am heading to Florida in a month and I would love to trip there. I'm sure you will, but just be careful and make sure you know what you are eating. If you've lived there that long, you know how to talk to people- I still think help from the locals is the way to go. But a hint from MJ would be nice too. There are not a lot of fields on Koh Phanghan. 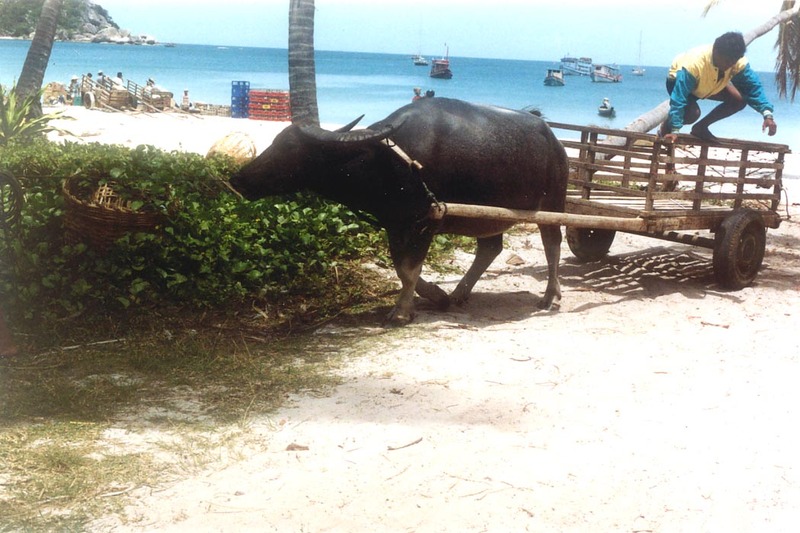 IT si a tourist island with a populaion less than 6,000 people and maybe 100 buffalo. 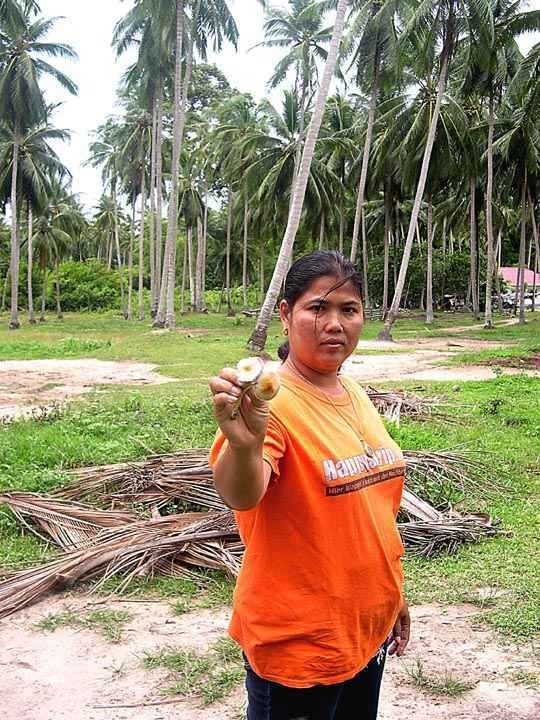 It is hard to get fresh shrooms on the island as they usually go into food items and come from local cattle tenders and rice paddie workers onthe isle of koh Samui. Locals on Samui sell them to retaurant owners on Phanghan. If you are wandeing the island then look in manure. However, The rainy moonsoon season is from May to October. after that they are rare untilt he spring May rains began. Is that guy buffalo surfing? Mushroom smoothies for tourist? Yum! No but I have an imge I created of Buddha surfing somewhere in my files. Here is a new menu with shrooms on the left, A deluxe shroom omelette in the center. On the right is an old muchies menu which says mushroom soup or omeltte and on top of the image is a hand-painted shroom t-shirt, drawn on the t-shirt from a postcard by an Austrian artist who has 13 such cards for sale all over southeat Asia. 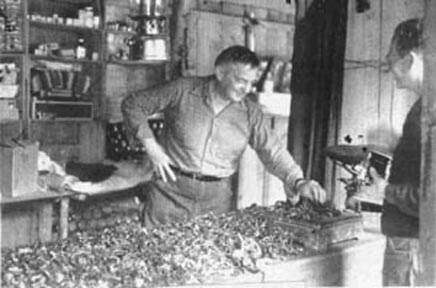 Until 1989, all restaurants on the resort islands in all parts of the country had the mushrooms lised on their menus. This above one is from Munchies in Chewang. No longer Muhchies, the reort has changed ownership years ago and changed the name of the resort. However, as I stated, a majority of resorts on Koh Phanghan will make omelettes and other food items with magic shrooms upon request. Rememember they are their to serve you and to satisy you in whatever you might seek or need. Partuicularly, anything for a baht. Very interesting! How is the mushroom viewed from a cultural standpoint there? Is it accepted by the people and the government or is it illegal or frowned upon? and along the Adaman Sea coast facing Indian and Sri lanka.. They can also be found at Suphanburi, in bankgkok, I picked cubes at the King of Thailand;s Gardens in 2005, although they have been there for years. Those are on deostit at Chula. mj after I come back from Koh Phangan I'd like to help you with your site, like make a new design, just beautify it a little.. if you are interested of course. I will do it totally for free and only for a good cause. I have some experience in web design and programing so I would be more than happy to help. I live and study permanently in Bangkok. I hope you're timing is current with the full moon (if you dont know what im talking about are you living under a rock?) 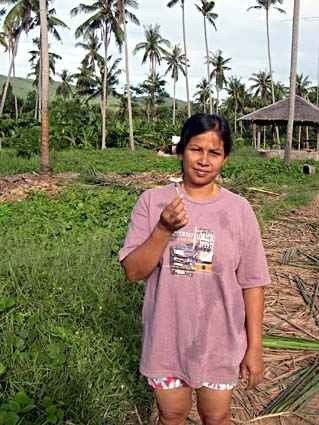 I have found hed keequai all over koh samui, the locals were actually very helpful and invited me to hunt their land, also many of them were handing me hats full of shrooms even ones i thought were inactive (be careful not to offend, i think i may have) anyways always show your gratuity, they even boiled my water for my tea. In return there was whiskey and singha all the way around. what a wonderful trip. wish i would've snorkled. Of course their are hed keekwai and hed kee wua all over Koh Samui. But they are not all over koh phanghan, the majority fo shrooms sold in restaurants on Koh Phanghan are form cattle enders and rice paddie owners on koh Samui. Many local vendors, when shown Copelandia species or Psilocybe samuiensis, bring me bags of Panaeolus antillarum and bags of Conocybes. They can only tell usually, the cubes. They are not good at collecting Copelandia species and many say 'antaray' when I show them the Copes and explain, 'same same but different' to them. 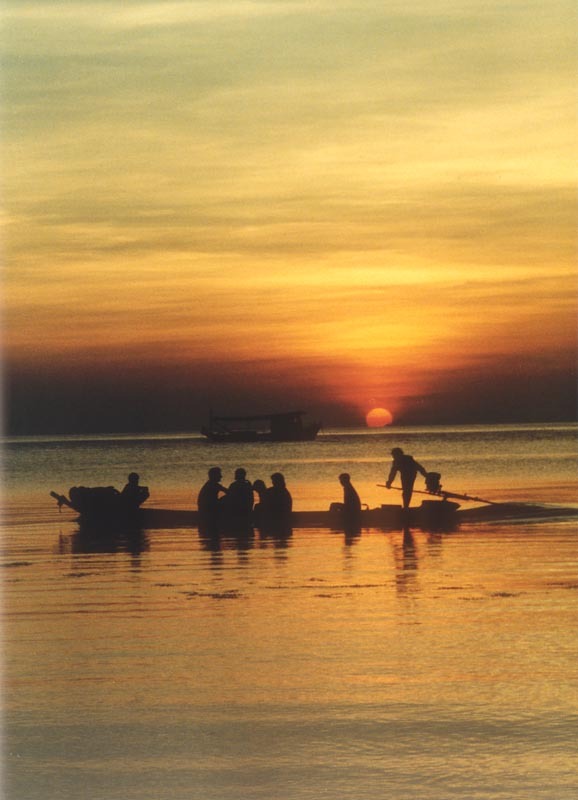 It was the German tourists in the early 1970s who introduced the cubes to the 'chao samui' and to the Balinese peoples as a source of income for tourist comsumption. While I have friends all over the island for over 22 years. I have never had anyone give me more than a few free mushrooms. The majority who do collect them daily try to sell them to the tourist for as much as 2000 baht a kilo. 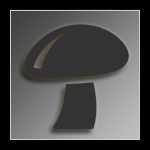 I have posted images at my site under shroomstalkers of locals walking up to me with a free mushroom they found as they came towards me. Children often want to help you collect and then they expect some American dollars or bahts for their help. And shrooms are illgal as hell. I have seen people who were busted for having fresh mushrooms, as well as ganja on the island in the past. So do not think things are that simple. While I have a permit when i am there, I have been asked by police, "what am I doing with the mushrooms?" Once i show my permit, i am left alone. That made local l newspapers around the southern part of the country and In Bangkok. 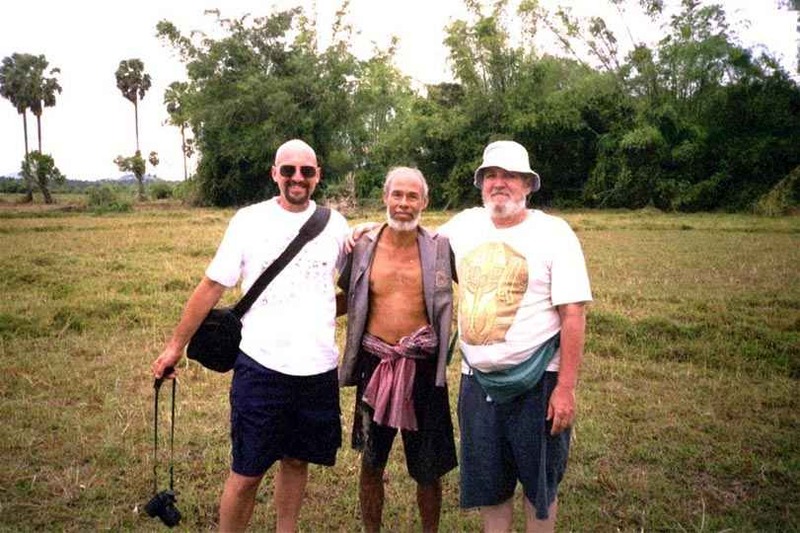 I have the stories in both Thai and in English, and I am finishing up a 22-year study, so far, more than 140 typed pages with SEM Photography, DNA Sequencing, Cultivation and chemical analysis of new species, colored photos and much more from Indonesia (Malaydia and Java) to Burma and east to Cambodia and Vietnam and south to Bali and West to Kuala Lumphur, and father west to the Western Ghat Mountains in Goa (including Tamilnadu, The Mushroom City in the Mountainous montane regions of Goa), India and Orissa and Bihar, India to the East, Sri Lanka, and the Islands of Phuket, Krabbi and Phi Phi, as well as Koh Samet and Cha Am and Hua Hin, and SUrat Thani, Thailand and in the north of Bangkok at Suphanburi and even in the Philippine Islands at resorts. At Taksinmaharat National Forest we found a lone cube growing from powdered manure fetrilizers sprinkled in the walkway lawns along the side waklks and gardens at the private cabins of the prime minister of thailand where we stayed. The National Forest was named in honor of King Tak the Great who chased the Burmese out of Thailand after the 1767 invasion of Ayudhhaya. We grew what has now become the Tak Mountain strain of Cubensis. the original found shroom which begat the Tak strain. Have a shroomy day and do not get busted in Thailand. It would be a most unpleasant experience. Here are some shroomstalkers for Samui over the years. 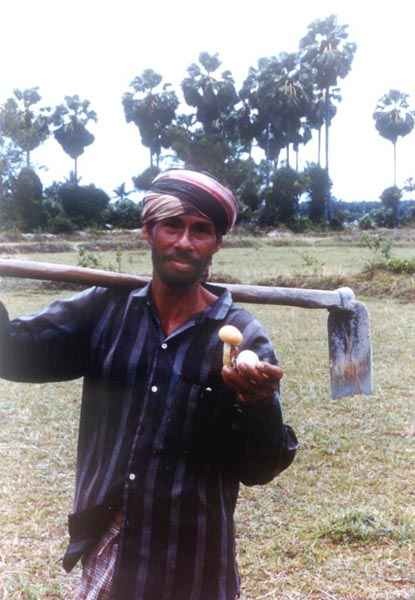 A buddhist monk helps collect Copelandia mushrooms at Angkor Wat temple in Cambodia. A girl at the Ban Thurian Buffalo Arena walks up and hands me two free cubes. Others have offerred me kilos from 1000 to 2000 thousand baht each. I have a few hundred photos of people offerening me free mushrooms and others trying to sell me kilos. They are private photos so i do not post them. I never post every foto I have in my library. Would be very much interested in what your ideas might be for the site. I too every year spend time at Chula Univ. on Phayathai road in Bangkok down the way from the MBK. My colleague at Chula usually prpvides me with a free condo when I am there or I stay at the student housing in a private room on Campus. I ride the sky train, the subway, the klongs, taxis and tuktuks for transportation and sometimes rent a motorcycle,although my teacher fears for my life ont he cycle in Bangkok where the traffic is crazy. hi all, i am new here, but am based in bkk, and was planning a trip to koh pangan for the shrooms, but would really prefer not to go all that way, where can they be found closer to bkk? I was going to go to koh samet and maybe koh chang, but need a bit of advice first if anyone can help out. Thanks!